Life is What YOU Make It! | Media Guest Connect - Bringing guest experts and the media together.Media Guest Connect – Bringing guest experts and the media together. 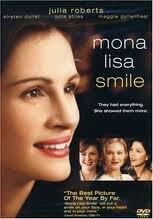 Mona Lisa Smile is a movie I watched recently about young ladies attending Wellesley College in the mid fifties. From what I read afterwards, the details were not exactly on target. Nonetheless, the message of the movie was one close to my heart as a coach. The character played by Julia Roberts, a professor at the school, tries to help young ladies who were predisposed to a certain lifestyle learn that they can make alternative choices. As a coach, I find this to be a major issue with many individuals. We grow up with family, friends and teachers that influence the perception of who we are. That predisposition can lead us to make decisions that continue to perpetuate what others want us to be, rather than breaking away from that pattern. Going against what is comfortable or comes naturally is always a conflicting challenge. Digging deep to find what you really want, who you really are takes work. When you take this life changing task on, it takes you on a journey to your authentic self. During this enlightening experience, there are many us and downs. Putting together a plan that matches your goals and taking action that moves you forward is critical. We all deal with self doubt and many times feel we have to settle for what befalls us. Not true. Take control of your life and follow your dreams, there are no second chances. ← Make the Next Conference About You!